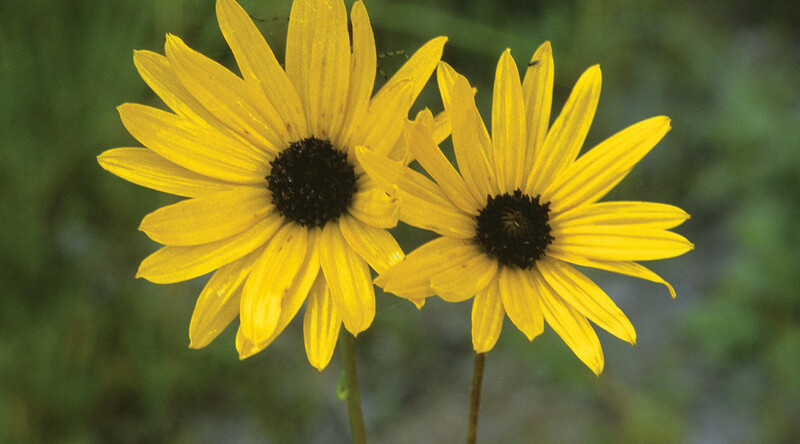 Sunflowers are among the showiest of our fall wildflowers, providing ornament to moist road shoulders and the bottoms of wet roadside ditches. 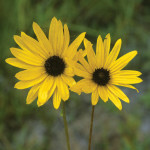 Most have large flower heads with numerous yellow rays encircling a brown or yellow center. 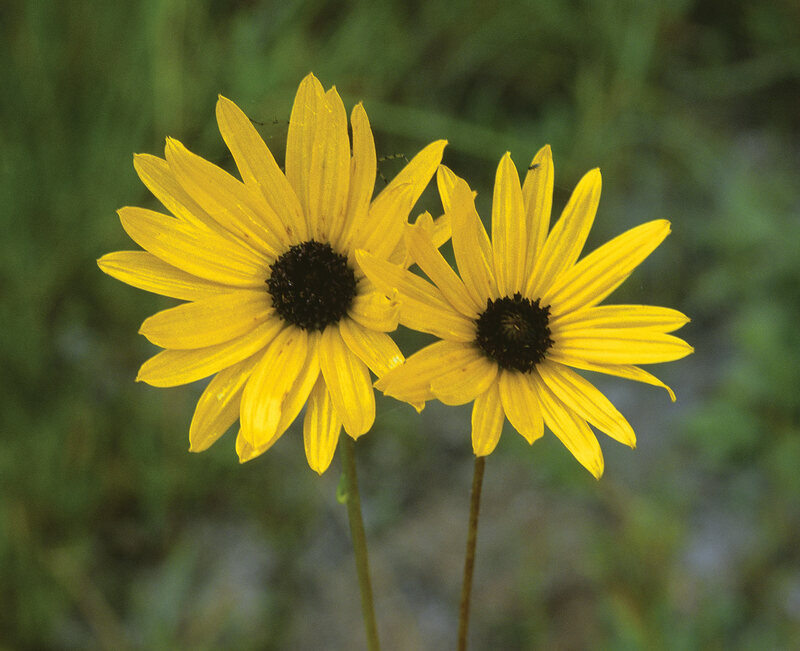 Our only exception is the common and abundant Rayless Sunflower, shown elsewhere in this app, which has the dark brown head, but lacks the yellow rays.